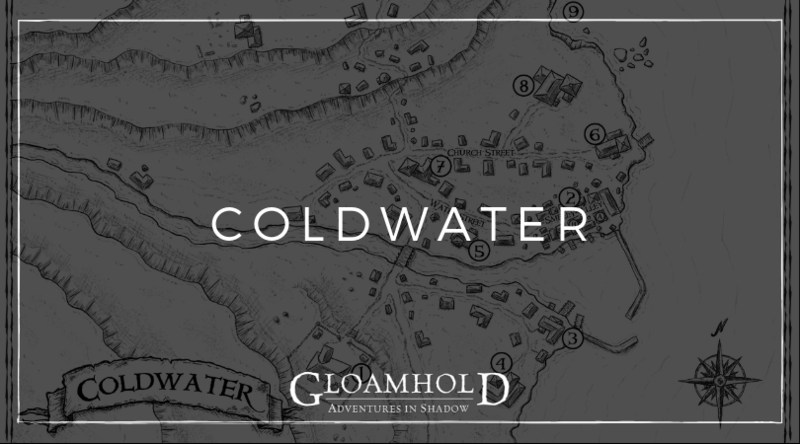 In my Adventures in Shadow campaign the party have finally reached the dismal village of Coldwater. They’ve been trying to get to the village for weeks of real time, but a forgotten tomb, an owlbear hunt and other distractions have stymied their attempts. Last night they finally made it! Come visit Coldwater with them!